Hey, y'all! Today is one of my favorite days of the month! 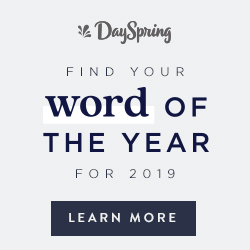 It's when My Favorite Bloggers and I bring you great posts that have a common theme. This month's theme is hearts. 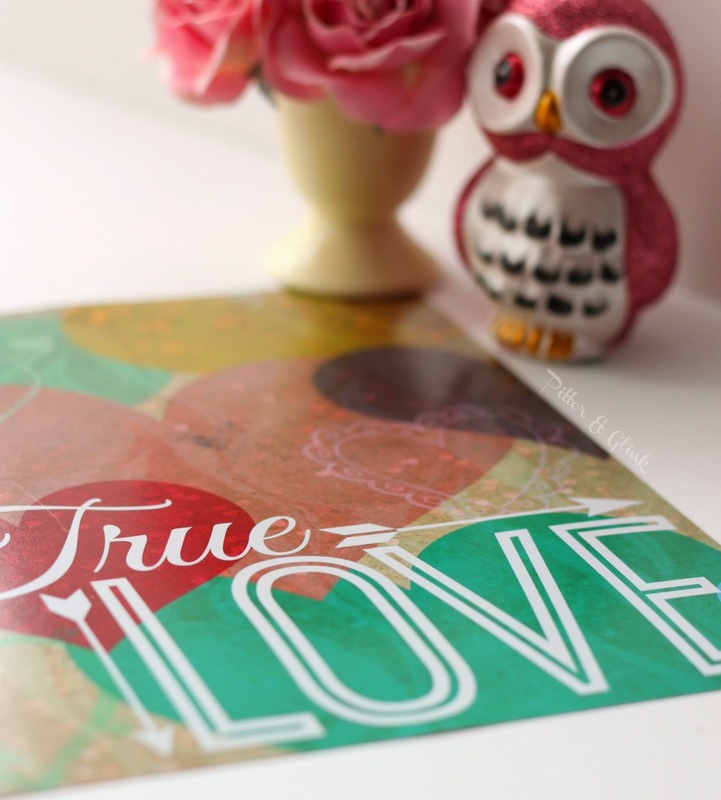 I'm sharing my Valentine True Love Printable with you, and at the end of the post, I'm sharing links to twelve other heart-themed projects. 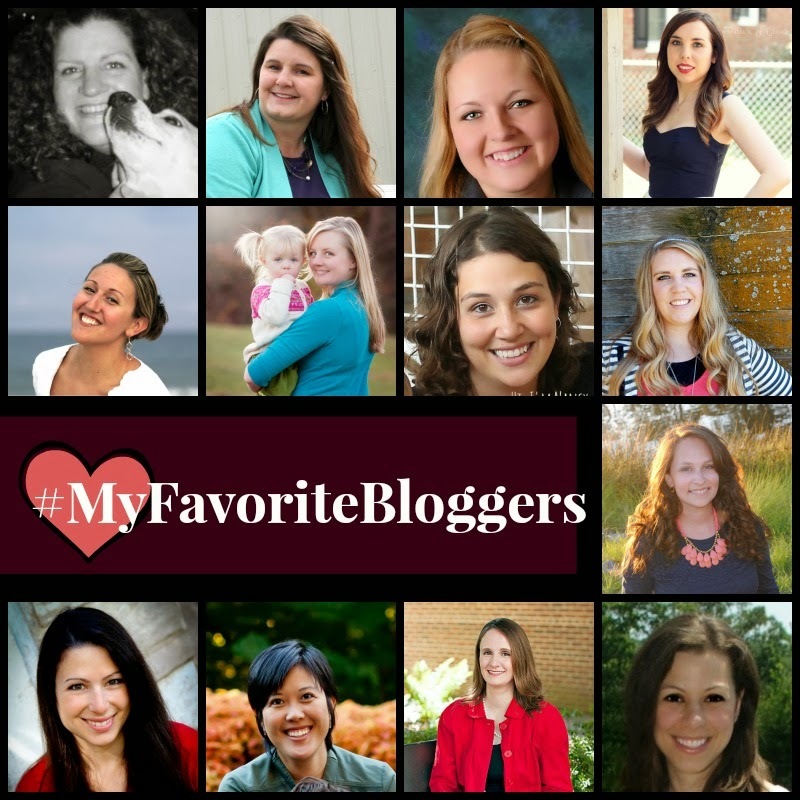 From left to right, top to bottom, here are this month's #MyFavoriteBloggers: Marilyn from 4 You with Love, Sky from Creative Capital B, Adrianne from Happy Hour Projects, Me, Lauren from Thinking Closet, Tara from Suburble, Nancy from Do Small Things with Love, Emily from The Benson Street, Kara from Happy Go Lucky, Sarah from Repeat Crafter Me, ChiWei from One Dog Woof, Melanie from It Happens in a Blink, and Kara from Petals to Picots. 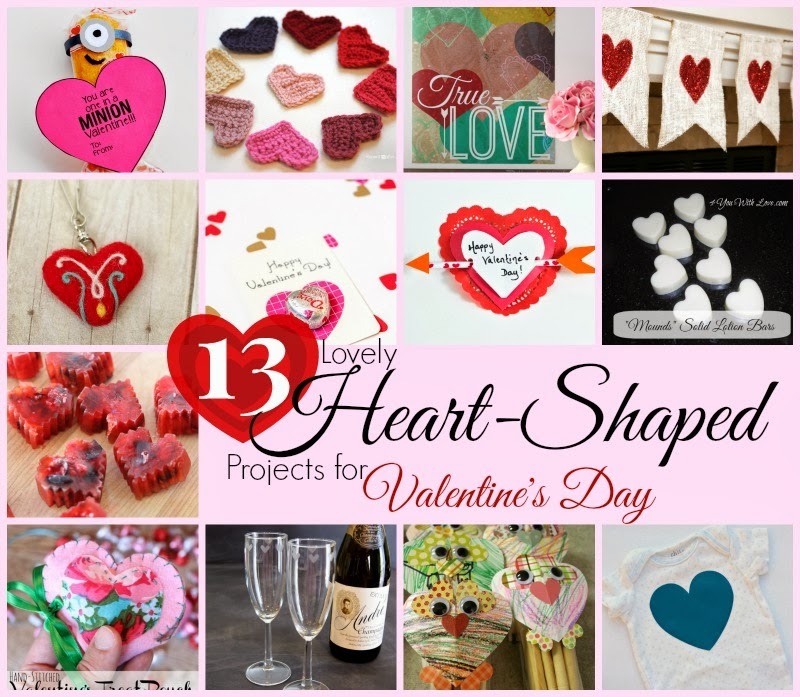 As I mentioned before, this month's theme is hearts, so we're sharing 13 Lovely Heart-Shaped Projects for Valentine's Day. 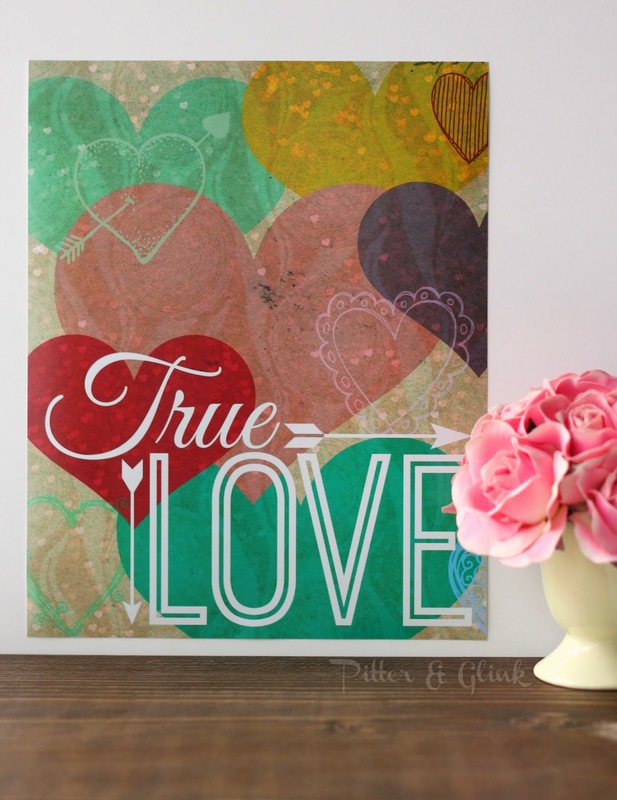 I'd love for you to go and check out all of the wonderful Valentine crafts that my friends created! Once again, from left to right, top to bottom: Printable Minion Valentine from The Benson Street, Easy Crochet Heart Pattern from Repeat Crafter Me, Free True Love Valentine Printable from me, Glitter Heart Burlap Banner from Happy Go Lucky, Needle Felted Heart Key-chain from Petals to Picots, Simple Chocolate Heart Valentine from One Dog Woof, Handmade Valentines from Suburble, Solid Lotion Bars from 4 You with Love, Berrylicious Heart-Shaped Ice Cubes from The Thinking Closet, Felt Valentine Treat Pouches from Do Small Things with Love, Etched Champagne Flutes from Happy Hour Projects, Heart Owl Valentines with Your Kid's Art from Creative B, and Heat Transfer Vinyl Heart Onesie from It Happens in a Blink. Another one of my blogging friends wasn't able to make the deadline for My Favorite Bloggers, but she made a heart-themed post anyway. Check out One Artsy Mama's Stamped Heart Bracelet too! So so so pretty! I need to print one! Just beautiful. Love the colors you used! So pretty and classy! Love! What a nice combination of colors- this is beautiful! Oh, that's lovely, Bethany! Pinned! I absolutely LOVE this!! 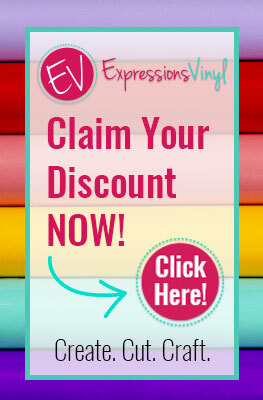 Thanks for the gorgeous printable! Ooh, I love it! It reminds me of crafts using tissue paper to make a stained glass look. Loving the layered effect! Ooooh, that's GORgeous, Bethany!! Pinning it now. I totally need to print this. What a gorgeous print. I am a huge fan of hearts. You did a beautiful job creating this. How generous of you to share. You created that....??? it's so fabulous!!! Aww, this is beautiful! I love all the hearts. And I would love to link to this in an upcoming Valentine Roundup if you didn't mind!